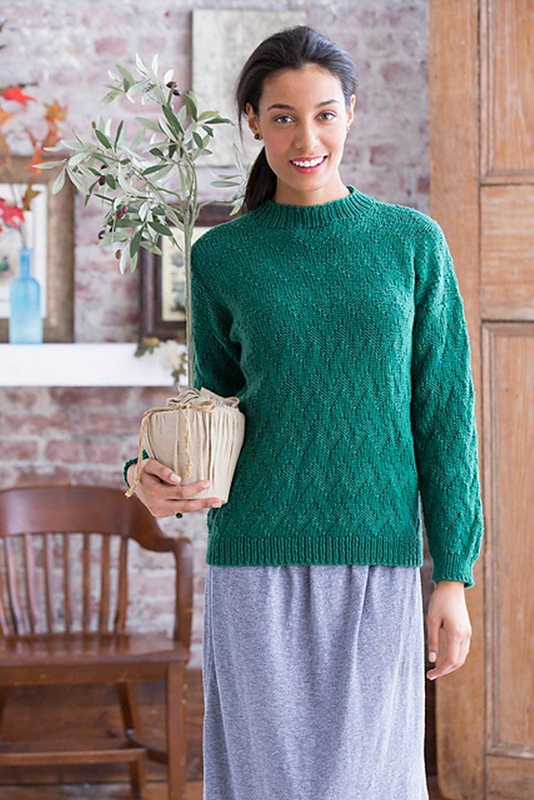 Taken from Knit Simple Magazine, Fall 2015: "Charlie Brown wishes for chevrons this chic! This pullover, with its allover stitch pattern, is another easy-knit, no-seam style that begins with provisional shoulder stitches." 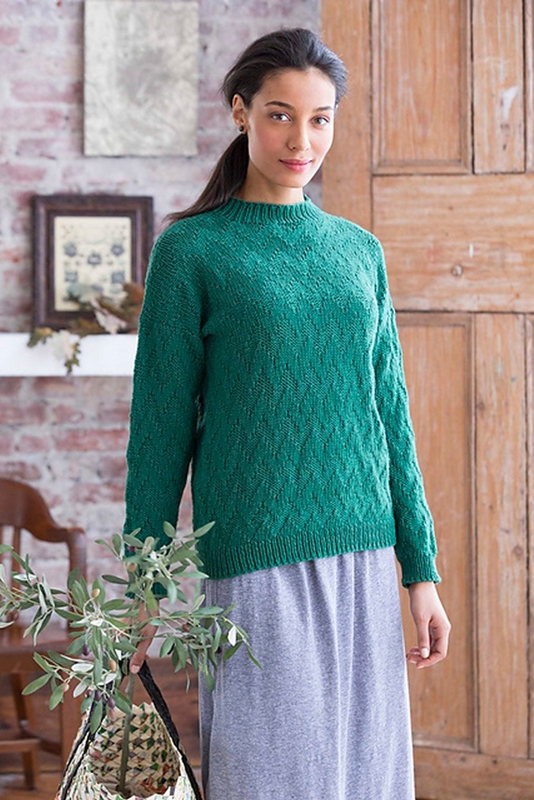 This pattern is from Knit Simple Magazine, Fall 2015. Design by Yelena M. Dasher. Size US 6 and 8 straight needles, 6-16", 6-29", 8-29" circulars, and 6 and 8 DP needles (or size needed to obtain gauge), stitch holders, stitch markers, and waste yarn are required but not included. Finished Bust Measurements: 35.5(39,42,45.25)" after blocking. Gauge: 20 sts and 28 rows over 4" in chevron pattern on larger needles. Color shown is #17 Deep Green. $87.00 -- Kit price including yarn only (no book or pattern). $101.50 -- Kit price including yarn only (no book or pattern). $116.00 -- Kit price including yarn only (no book or pattern). $130.50 -- Kit price including yarn only (no book or pattern). If you like the Cascade Longwood Chevron Mock Turtleneck kit, then you may be interested in some other kits covered in our Fall and Winter collections.